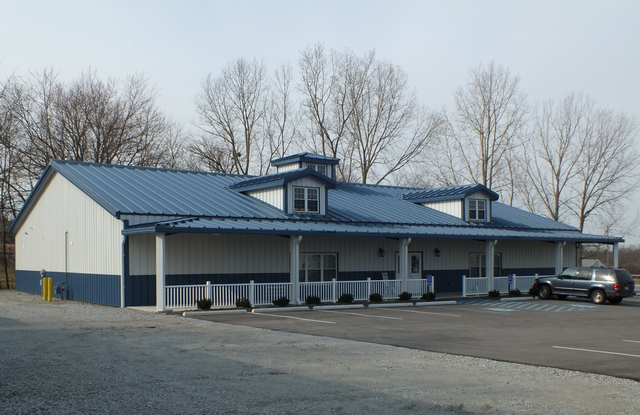 We are adept at all phases of Commercial construction including complete buildings, building addition, internal remodeling, offices, restrooms, kitchens and floor polishing. 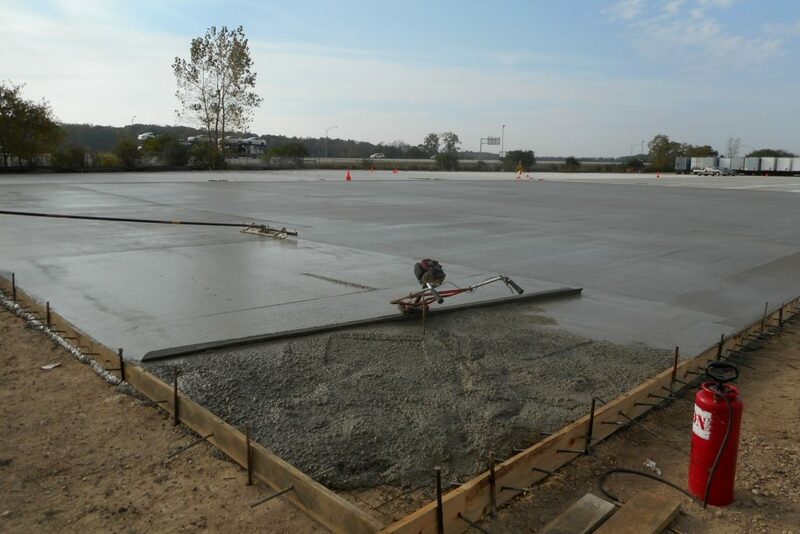 Very large concrete parking lot for Werner Enterprises in Springfield, Ohio. Examples of work we perform for our commercial clients includes foundations, masonry, slabs, concrete grinding, polishing, driveways, side walks, steps, sealing, asphalt, seal cote, stripe and misc repair. Auction House on East Main St Springfield, Ohio built by W. A. Stevens & Associates.